Jawahar Vidya Mandir, Shamali Is On A Row To Produce Another Dhoni !!! 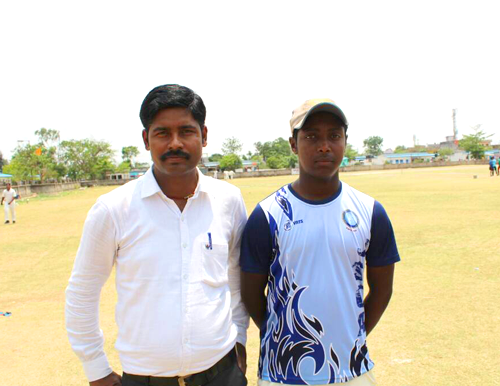 Ram Raushan Sharan, 9th class student of Jawahar Vidya Mandir, Shayamali made 143 not out in just 80 balls during a cluster level match against International Public School, kanke. Just the same talent from the same school at almost same age. Yes!!! You guessed it right; we are talking about the former captain cool of team India M. S. Dhoni aka Mahi. The boy from JVM School who changed the history of Indian cricket. Though it is very early to predict but SSPF is so excited to have Jawahar Vidya Mandir, Shayamali registered and playing with us. The same school which has a proud past of producing players like Dhoni. In his innings, Ram Raushan has scored 18 fours and 7 sky- high sixes. Out of 143 runs he made 114 runs just from boundaries. That’s not all where he stoped. He also took one of the most vital catches of Iftikhar Alam and one wicket of Tanishq Paul L from the opponent team. 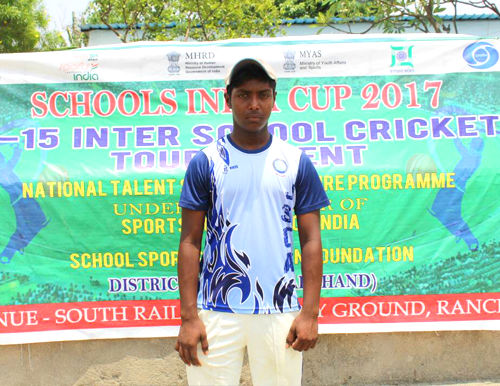 In the Ranchi district, 5 clusters with 20 schools have taken part in SSPF Schools India Cup 2017. Jharkhand has produced many sports person who has brought glory to the nation. SSPF also hope to have that privilege that future sports star from this state will play for SSPF in his growing years. K.Barathan on Let The Final Battle Begin! Gunasekaran. G on Let The Final Battle Begin! SSPF | Blogs © 2019. All Rights Reserved.